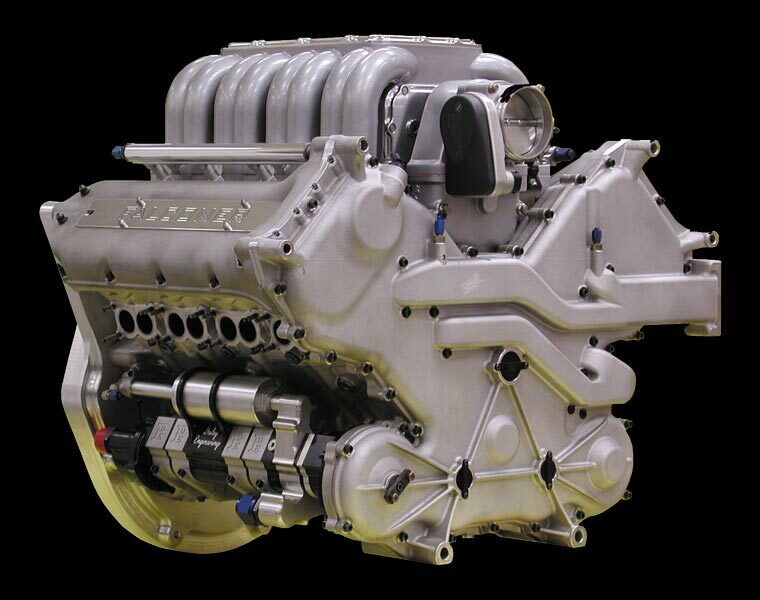 This engine was installed in a Shelby Cobra continuation chassis that featured a wealth of modern racing components. Calipers and rotors were from Brembo with the rotors supported on custom billet titanium brake hats. Indycar-grade CV joints replaced the common bulky driveshafts and BBS Indycar wheels with single nut Indycar hubs completed the chassis. A Sparco quick-disconnect steering wheel was fitted with a miniature MoTeC ADL dash, while a full-size MoTeC dash was used in place of traditional instruments. Check out the IRL Street V8 Photo Galleries.